Sri City is well-connected through a broad-gauge railway line that links the metro cities of India. Sri City lies between the Tada station on the north and Arambakkam station on the south for suburban services. 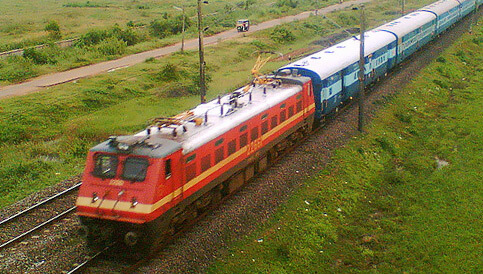 Express trains connecting Chennai, Bangalore, Hyderabad, Kolkata and Delhi stop at Sullurpeta which is 12 km north of Sri City. Trains from Mumbai halts at Renigunta, a major rail junction west of Sri City.